Always innovating, Dara Synergy Grande are a freshly developed twist on our standard boards. Very popular for their added durability, our newly developed Dara Synergy Grande (DSG) series panel boards are able to withstand harsh conditions out in the sun. This series is similar to DSS but with a double return on the enclosure and increased capability to handle the toughest conditions. Since 2010, DaRa Switchboards have been designing and manufacturing custom switchboards for all kinds of commercial, industrial and residential applications. 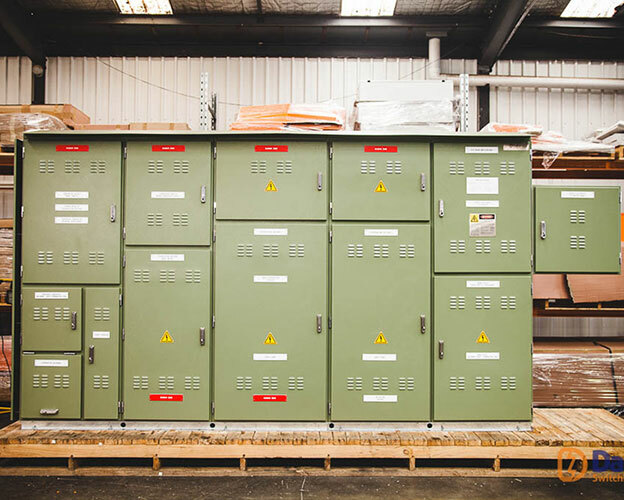 We’re one of the leading switchboard manufacturers in Australia, and have built our success on our commitment to delivering innovative, reliable switchboards Australia-wide. All our DaRa main switchboards are manufactured using the latest engineering and design technology in our fully integrated 3000m2 manufacturing plant in Melbourne, we’re a key supplier to around 10 multi-national companies, and have a loyal customer base that just continues to grow. 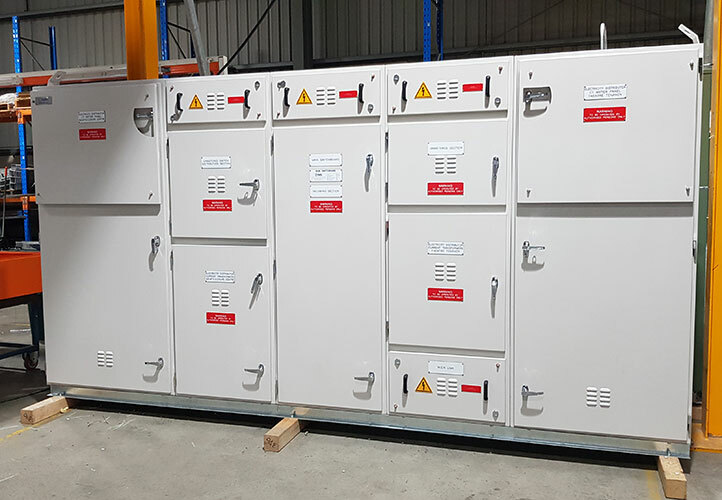 One of the latest additions, the newly developed Dara Synergy Grande (DSG) series panel boards are a popular choice for any application where the main DaRa switchboard needs to be able withstand harsh conditions in the sun. The DSG series offers extra durability, with a double return on the enclosure and increased capability to handle whatever the weather throws at it. Furthermore, to ensure that this DaRa panel board offers the optimum design space for your electrical installation and to simplify custom sheet-metal requirements, it’s been designed in a variety of depths, widths and heights. We’ve made our DSG series as flexible as possible so that it can be fully customised to meet your requirements. 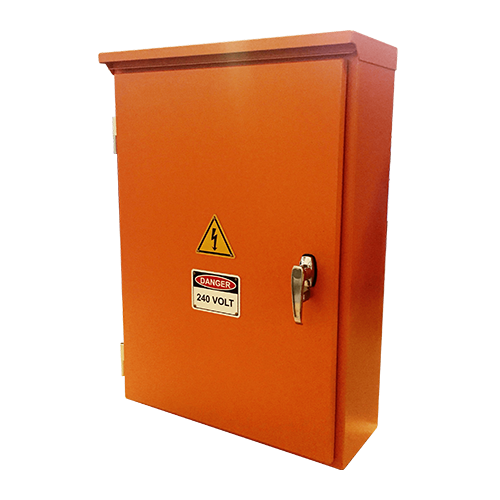 The doors and removable hinged escutcheons can be hinged left or right; the top, bottom or rear gland plates can be removed, plus there are ventilation louvres on the side of the enclosures and / or the doors. Designed to be used for all high current applications, the panel board can be wall or floor mounted, and several can be joined together to form any shape. In addition to joining our DSG panel boards together, we can powder coat the panel board to your colour requirements to give it an aesthetically pleasing look. The powder coated finish is applied in two stages to give a superior anti-rust finish and lasting strength. Other optional extras include aluminium or brass gland plates, a rainhood for outdoor applications, ventilation and covers, a galvanised plinth option for floor mounting and lifting provisions for crane truck delivery to your site. Of course, just like all our panel boards, the DSG series is Australian made, and comes with circuit identification and schedule cards. Should you require any further information about our DSG series, call our sales and engineering team on 03 8544 3300, send an email to info@dara-switchboards.com.au, or complete our online contact form and we’ll get back to you as soon as possible. The powder coated finish involves a two stage preparation consisting of degreasing, iron phosphate etch and rinse followed by an electro-statically applied polyester powder coat (80 microns thick), ensuring anti-rust conditioning superior finish and lasting strength. Can be powder coated for your Architects special colour requirements giving an aesthetically pleasing look.